In January 2010, long-time LA actress of TV and film, Brooke Baumer, got a brilliant idea to try and time the birth of her second child to occur during her favorite month of the year. Over the next 9 months, everything that could go wrong, both with the pregnancy and life, went wrong. 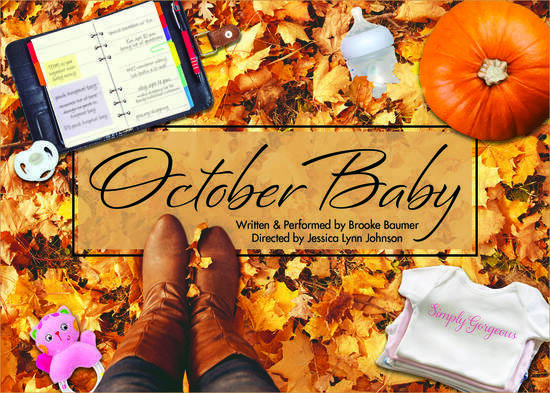 What started out as a 10-minute storytelling piece has evolved into “October Baby,” a 60-min. solo performance with 20+ characters that chronicles the journey — in utero and out! 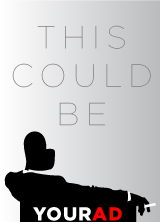 You’ll laugh, you’ll cry, you’ll walk away with a new perspective on the need to control. October Baby made its world premiere on February 19, 2017 to a sellout crowd in Los Angeles as part of Solofest 2017, the largest solo theatre festival on the West Coast. It is directed and developed by Jessica Lynn Johnson, a published playwright, recipient of BEST NATIONAL SOLO ARTIST AWARD, member of the LA Women’s Theatre Festival Submission Screening Panel and founder of Soaring Solo Theatre Company.